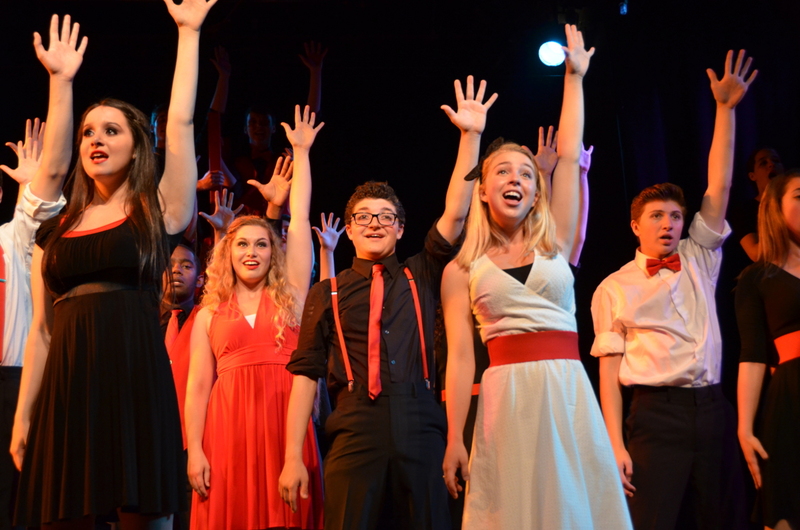 Summers at Stagedoor are always exciting and many feature once-in-a-lifetime educational experiences! Stagedoor produced the world-premiere production of Disney’s High School Musical. In partnership with Music Theatre International and the original creators, Stagedoor was the first to produce a one-time workshop School Edition of the international hit Avenue Q. We were also fortunate to produce a pilot production of RENT School Edition (which Stagedoor helped develop over two summers) and the first MTI workshop production of Sweeney Todd School Edition. 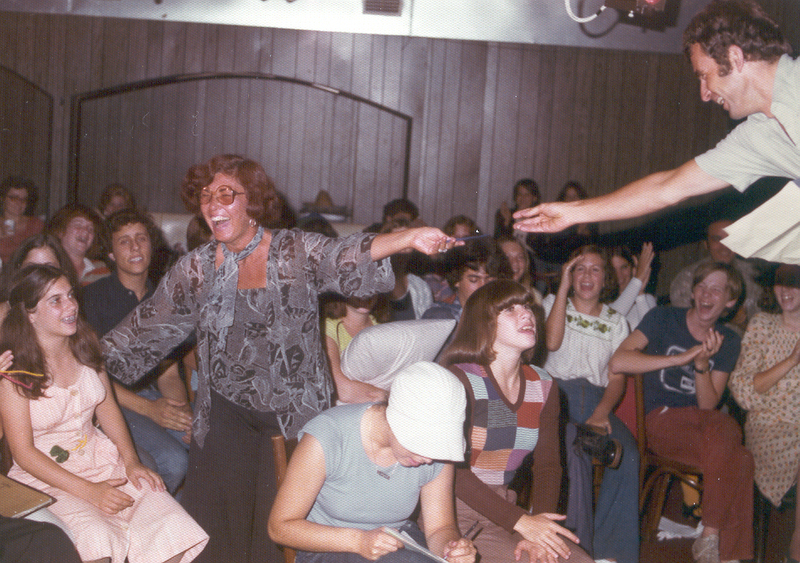 Before there was Glee or American Idol, there was Stagedoor Manor, a theater camp in the Catskills where casting directors came to find the next generation of stars. It’s where Natalie Portman, Robert Downey Jr., Ansel Elgort, Lea Michele, Jon Cryer and many others got their start as kids. Since 1976, a new crop of campers have stepped onto these stages each summer to begin an intense, thrilling and magical introduction to professional theater. Every three weeks, 14 full-scale productions come to life. The faculty – all seasoned professionals – demand adult-size dedication and performances from the kids. But where did it begin? What would make a businessman like Carl Samuelson invest in such a crazy project? In short, Jack Romano—a charismatic Cuban immigrant who served as the camp’s first artistic director. Carl observed Jack teaching a small class of children about character development and motivation and he recognized Jack as a fascinating, hypnotic teacher. Carl hired him to run a new camp he’d call Stagedoor Manor. 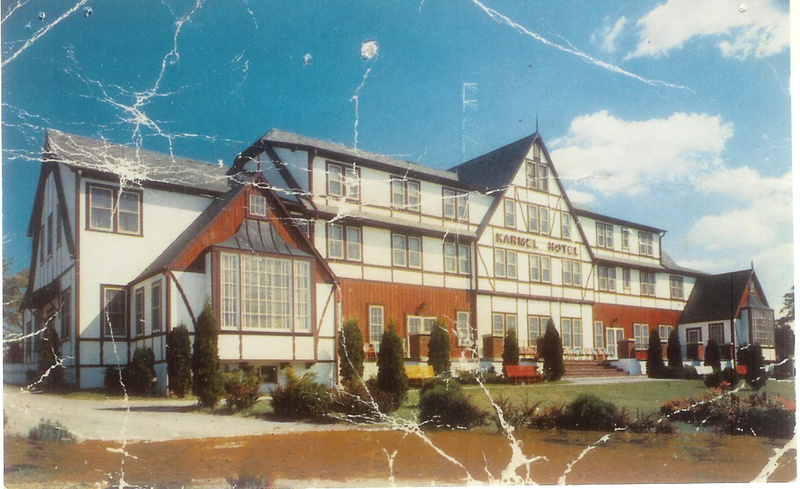 He’d open it in the Catskills, on the grounds of the Karmel Hotel in Loch Sheldrake, New York. Though the erstwhile hotel was dank and musty, Carl recognized something essential in the place: it had space for theaters. The barn, the nightclub, the health club—all three could be converted into performance venues. Jack ran the artistic program, Carl concerned himself with the business, and Elsie saw to the safety of the children. “He didn’t want to see people grinning from ear to ear, belting their brains out with nothing behind it,” says one former camper. “He wanted you to dig deep.” His creative vision and educational ethos – unorthodox yet highly effective – influenced the early work of artists like Robert Downey Jr, Jeanine Tesori (Fun Home), and many others. An August 6, 1987 segment on CNN’s Showbiz Today presaged a new era. “We have no flagpole,” Carl says in the TV piece. “Our camp song is all the songs that have ever been written for Broadway. And we had 250 fabulously talented kids. 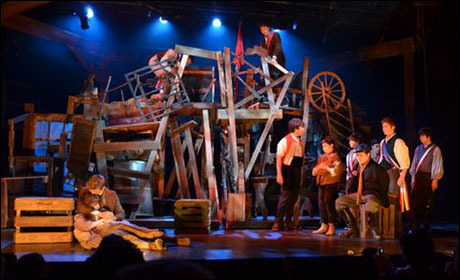 Kids who love theater.” The camera cut to a young camper who was about the depart Loch Sheldrake for a part in Les Miserables on Broadway. There was a new vibe: This is place where things are happening. Stagedoor Manor went from a summertime pursuit to an investment in a child’s future. Although Jack Romano passed away in 1991, the program remained intact. Carl was an expert businessman and he help spread the story of Stagedoor Manor far beyond Loch Sheldrake. Soon singer Mandy Moore, Zach Braff, and a young Natalie Portman found themselves representing the next generation of Stagedoor campers. 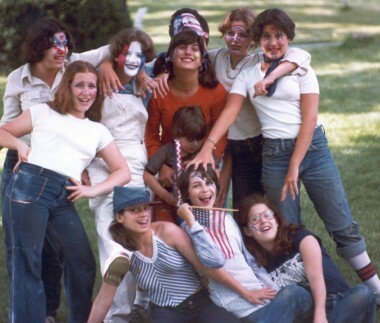 The Samuelson daughters—Cindy and Debra—had visited Loch Sheldrake often in the thirty years since their parents woke up one day in 1975 and decided to open a theater camp. Cindy was an accomplished Boston artist and Debra was a successful lawyer working in New York City. They both had fond memories of Stagedoor Manor and a growing attachment to theater. Although neither had expressed much interest in taking over the business, after their parents died, that’s exactly what happened. In the beginning, the improvements the daughters made were largely cosmetic, replacing seven roofs and making a significant investment in buildings and rooms. Bigger projects soon followed. In the winter of 2007, Cindy and Debra converted Stagedoor’s little-used indoor pool into a high-end theater—a massive, million-dollar undertaking. A few years later, an outdoor theater – The Forum – was given a monumental upgrade, with a proper roof and new stage added so that performances would never be rained out again. The camp’s kitchen was completely renovated, and the costume shop was dramatically expanded from a modest one-room operation to a meticulously organized archive. The result of their dedication is clear: At Stagedoor Manor, amazing things are always happening. Stagedoor is not just a place to be discovered. It’s now a place for major entertainment corporations to workshop new material. In 2006, Disney Theatricals began the long process of repurposing the mega-hit movie High School Musical for the stage. Would it work? Would it need more songs? To find out, Disney turned to Stagedoor for a trial run. These opportunities are now a part of the camp’s DNA. In 2007, campers at Stagedoor participated in a new MTI High Schools adaptation of Sweeney Todd, with Stephen Sondehim himself e-mailing changes to the score. In November 2009, Stagedoor made its first of several appearances in the famed Macy’s Thanksgiving Day Parade. Carl’s slogan had been, “The only summer camp of its kind.” But Stagedoor Manor has become more than a camp. After 40 years, it has become a foundation for young people interested in making their mark on American theatre. Adapted from the book Theater Geek: The Real Life Drama of a Summer At Stagedoor Manor, by Mickey Rapkin. 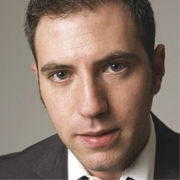 Mickey Rapkin is the author of Pitch Perfect. His book, Theatre Geek, is an inside look at Stagedoor Manor and its history.